In this two minute HR Blast, we thought we would tackle the often frustrating issue of protecting your business from employees who want to take your clients, Intellectual Property or staff with them to their next venture or next employer! Yes. 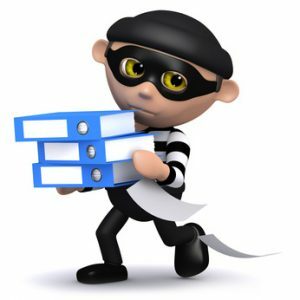 At Jaluch, we always seem to have an ongoing issue with one or more of our clients – relating to protecting the business from employees wanting to steal information or clients. An employee starts setting up their own business (often in competition with you) whilst still employed so uses your resources, your time and your information to create their own venture. They stay with you until their own venture starts to generate enough revenue to allow them to resign their position with you. An employee begins discreetly soliciting your clients, collecting company documents and information and emailing it to themselves shortly before resigning with a view to setting up on their own or joining a new firm. An employee who is off sick – who is not as sick as they say! But they have convinced their GP and in fact are spending their time setting up their new business venture whilst receiving your very generous sick pay payments! An employee or director of the business has resigned or retired. They then ignore their restrictive covenants and seek to solicit your clients for their new business venture. Sometimes your ex employee continues to receive information on your client prospects and other company information via a friend or relative of theirs who remains employed by you. What are the typical mistakes employers make? They have contracts that do not contain any restrictive covenants or clauses that protect confidential company information. Otherwise, they have such covenants and clauses, but the wording is inadequate for what they need to protect. You have the clauses you need, but no one checks at the start of employment that the contract has actually been signed and returned. A basic admin error that happens to too many. Employers mistakenly believe that employees will have any regard for their restrictive covenants and confidentiality agreements, so are not aware how many employees start to set up in competition whilst still employed. Looking for breaches after the end of employment is often too late. Fear of the data protection act and fear of being accused of breaching rights to privacy, prevents many employers from carrying out even sensible checks on staff. Trust is great, but it won’t protect your business from the one rogue employee who steals your business from under your nose! A hands off approach to managing those off sick, and a hands off approach to managing the day-to-day performance of staff leaves the way clear for staff who wish to take advantage to pretty much do what they like whilst being paid by you. A lack of management information about staff performance, staff usage of IT systems, staff productivity etc. prevents problems being spotted at an early stage. But also having no system in place to wipe company data from home computers for remote/virtual workers, and to remotely wipe data from smart devices such as phones and iPads when staff leave, results in you effectively handing over your company information. A mistaken belief that the restrictive covenants can easily be enforced and therefore will protect your business. They cannot easily be enforced and their benefit is mostly as a deterrent unless you have plenty of cash to spare to pursue civil claims. Deterring staff and also actively preventing breaches in the first instance are the best forms of protection for any business. Review what restrictive covenants and confidentiality clauses you are using; to determine if they are appropriate (and legal) and provide you with as much protection as possible. Put in place random monitoring of IT systems, staff productivity figures, client prospect conversions, internet usage etc (being careful not to target specific individuals unless you have a clear reason for doing so). Educate managers and seek to increase managers’ confidence levels in respect of how to effectively manage staff, without micro managing them, including those who are absent from the business. Identify where your business is most at risk from employees and put in place protective measures in those areas to give you as much added security as is possible. Review your exit processes for staff leaving. A few ideas: Should you restrict access to certain data from the date of resignation? At what stage do you tell a leaver that they will need to attend an exit interview? Do you have a process to remind other staff about not passing confidential information out of the company? Do you have a process to review email usage in the weeks prior to someone leaving? Jaluch can support you with contract and policy reviews, conducting exit interviews, developing line manager confidence and managing situations where employees have breached their restrictive covenants and confidentiality clauses. Call us on 01425 479888 for rates that are competitive and a service that is commercial and pragmatic in relation to managing complex employee issues. No contract required.